How can employees Clock In/Out of Time Clock? Employee simply need to find their name on this list of shift for the day and click on it. 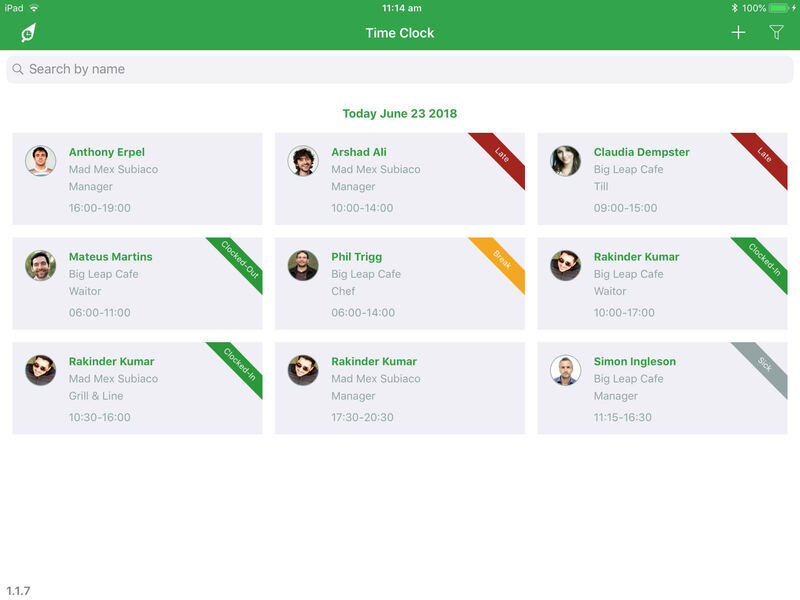 RosterElf's Time Clock has a handle search bar which will make it easy for your staff to find their name from the list of employees. Next, employees simply need to enter their RosterElf password and click "Next". If the employee is trying to clock in or out for a shift outside their rostered time, depending on the tolerance set on the account, they will be asked to enter a reason. This information is then recorded and available for managers to view when reviewing data for processing payroll. 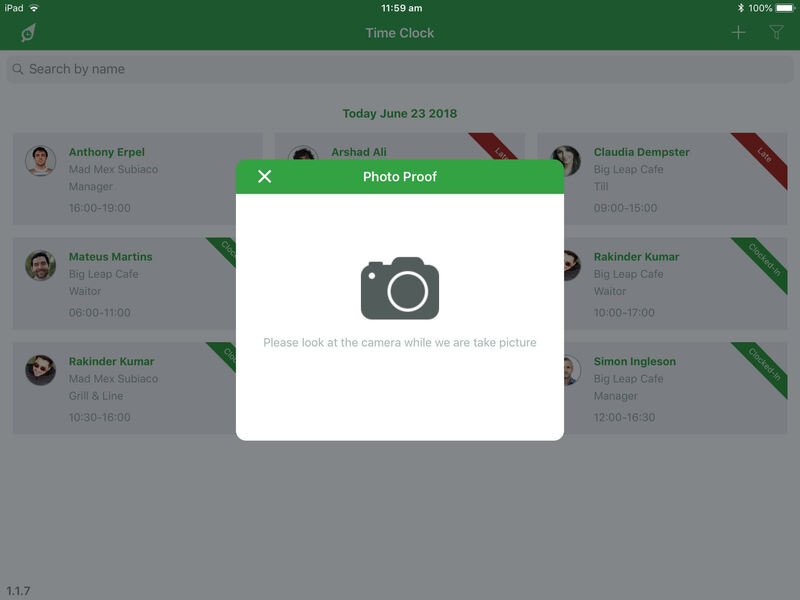 In the final step in clocking in, employees will be asked to take a selfie via the tablet. This photo proof of their attendance is again recorded for managers to review as part of the process of reviewing data for payroll. 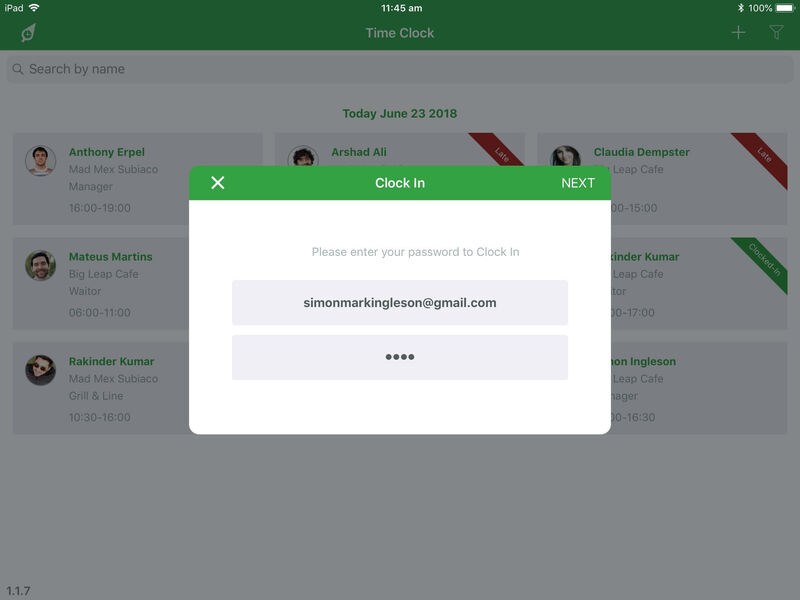 Employees will know they have clocked in successfully when they see the confirmation window. The shift list will also have a green "Clocked In" banner on their shift similar to example below.